Perfect for the larger bathroom, these freestanding and pedestal tubs are 70" - 91" long. These larger freestanding tubs allow for more leg room. Most of the tubs in this size have a center drain. They are double ended allowing two bathers to lounge face-to-face. 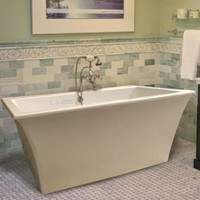 Find freestanding bathtubs made from acrylic and solid surface. 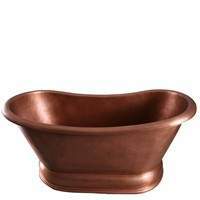 We carry a large selection of 72" with a variety of styles. 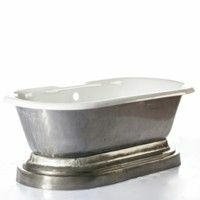 Find modern tubs with clean line or traditional tubs with raised backs and pedestal bases. 70" x 31" x 23"
70" x 31" x 29"
70" x 32" x 20"
70" x 32" x 22"
70" x 32" x 23"
70" x 35" x 25"
70" x 35" x 26"
70" x 36" x 22"
70" x 40" x 26"
71" x 31" x 23"
71" x 31" x 28"
71" x 32" x 23"
71" x 32" x 25"
71" x 32" x 29"
71" x 32" x 30"
71" x 33" x 32"
71" x 33" x 24"
71" x 34" x 23"
71" x 34" x 24"
71" x 36" x 26"
71" x 37" x 21"
71" x 37" x 25"
71" x 38" x 23"
71" x 42" x 23"
71" x 42" x 26"